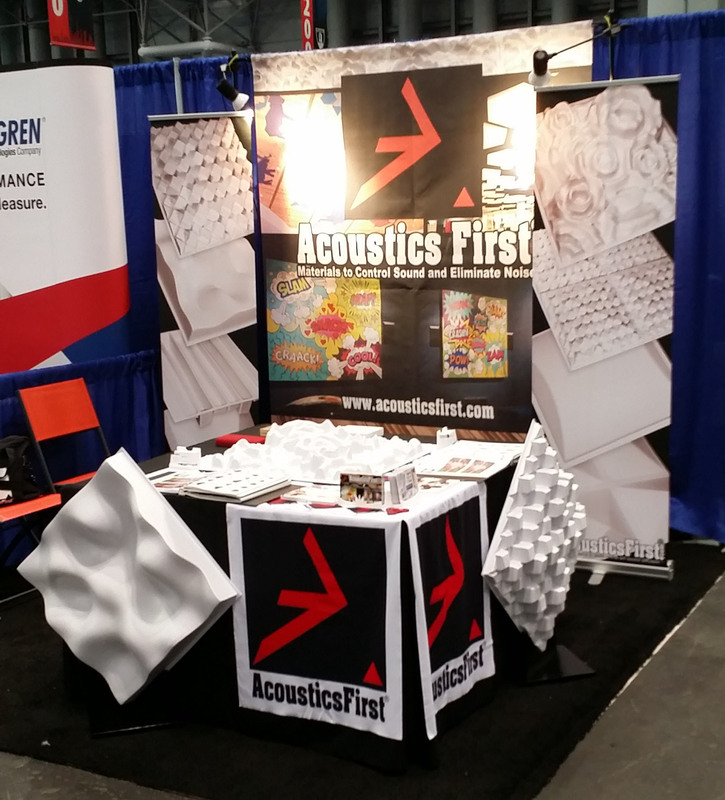 Acoustics First® will be back in New York for the 2018 AES/NAB show, October 17-19. So, if you missed last year’s show, here’s your chance to stop by the Javits Center (Booth 553) and say hi to Cameron & Jim! Also, be sure to check out our wide array of Sound and Noise Control Products, including our State-of-the-Art Sound Diffusers! Click here! Find us on the Floor!